Gorgeous, large, waxed aprons perfect for gardening, or keeping clean doing any artisan jobs around the home. 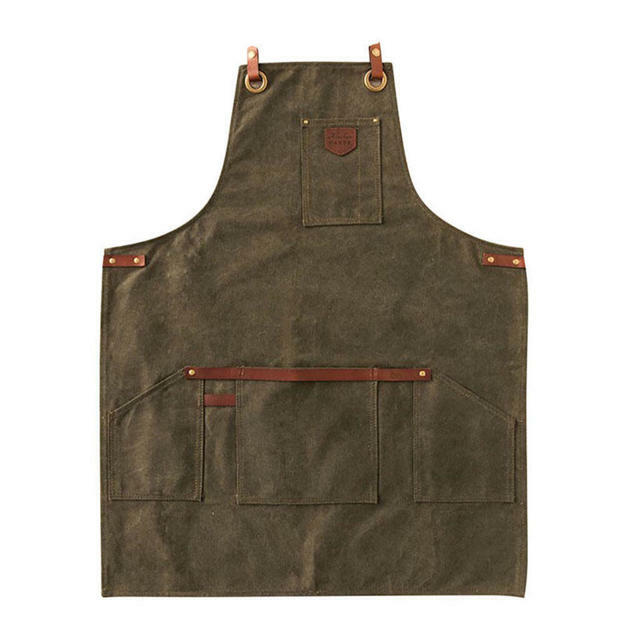 Wonderful, roomy, thick cotton waxed canvas aprons, for use in the garden, whilst barbeqeuing, or doing any craft jobs around the home. 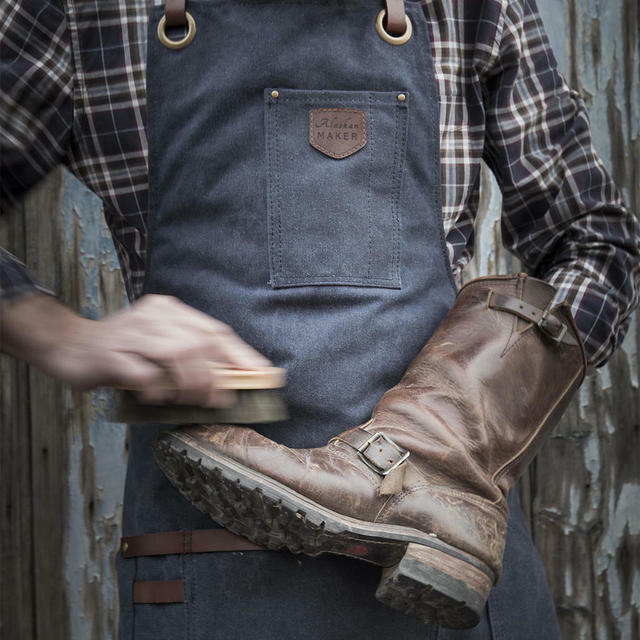 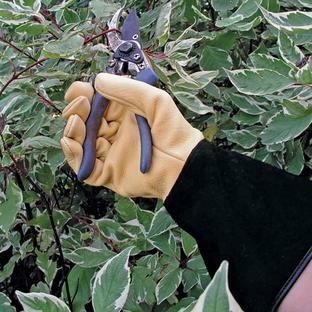 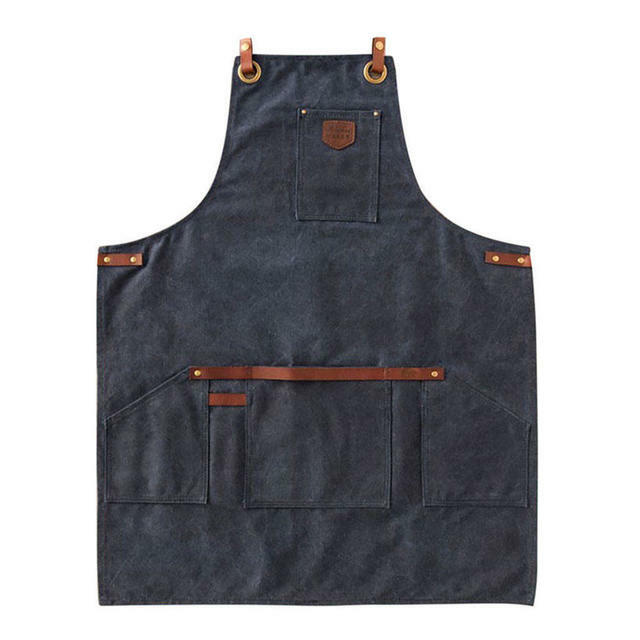 The waxed cotton makes the apron water-resistant and dirt-repellent, so you will be well protected and always dry for your activities, and the apron can be wiped clean if necessary. 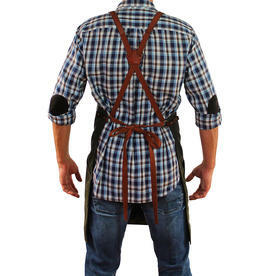 The apron has generous adjustable back straps, making it suitable for all shapes and sizes. 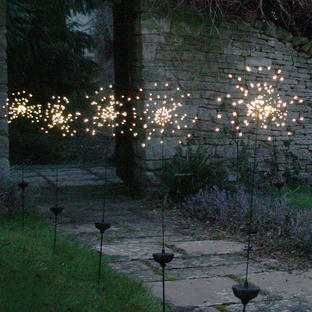 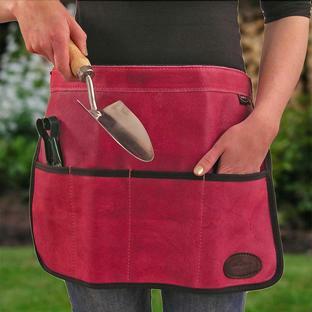 A gorgeous gift for a keen gardener, or just a lovely treat for yourself! Waxed canvas with cross back straps to allow flexible fitting. 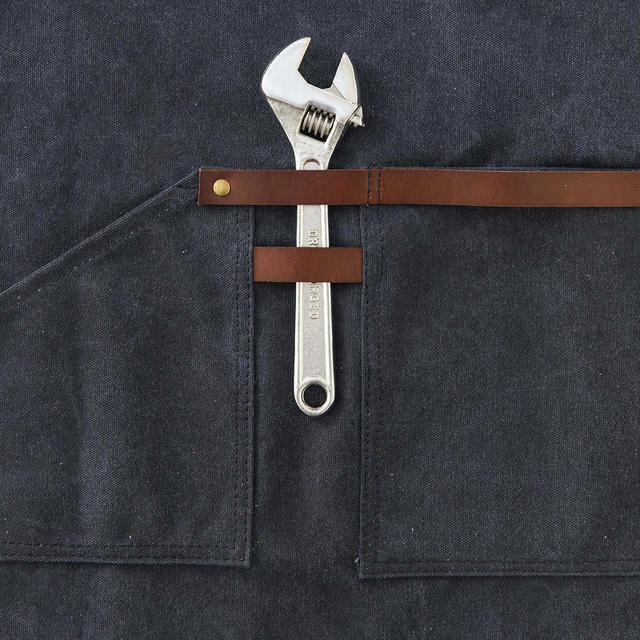 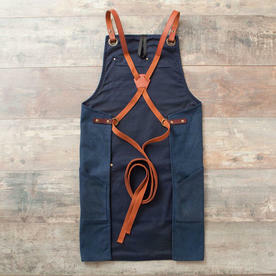 Adjustable straps of aprons are made of vegetable tanned leather and cotton webbing, for durability and functionality, with brass eyelets and rivets. 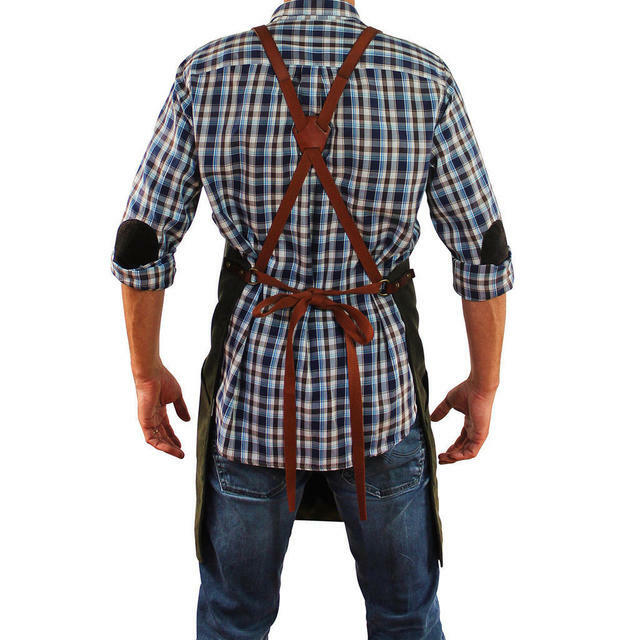 The 2x ties measure 120cm each. 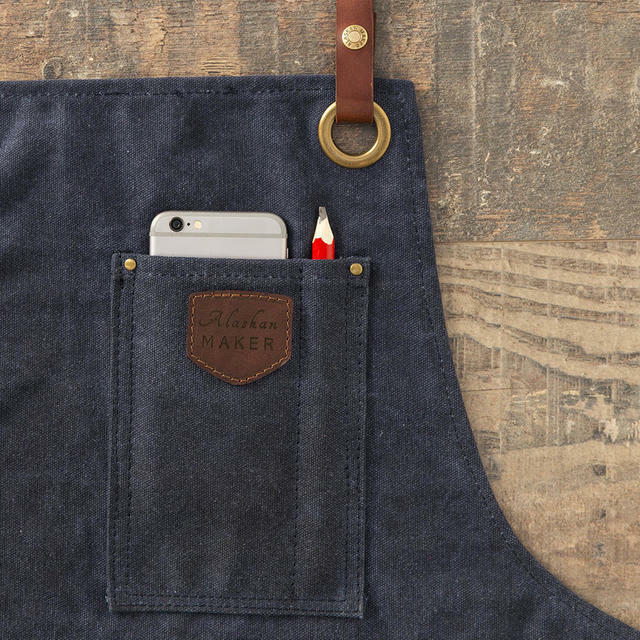 With 3 large pockets to store tools. 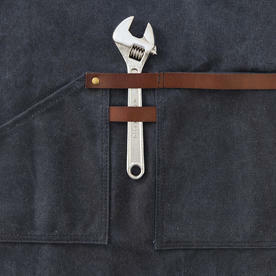 A leather belt to hang tools on. 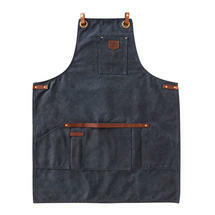 To keep clean simply wipe down with a damp cloth, the wax helps keep the apron from becoming too soiled.